In the last few years podcasts have become extremely popular. You can listen to any topic that interests you, including English Podcasts to practice listening to English conversations, learn grammar, pronunciation or build vocabulary. 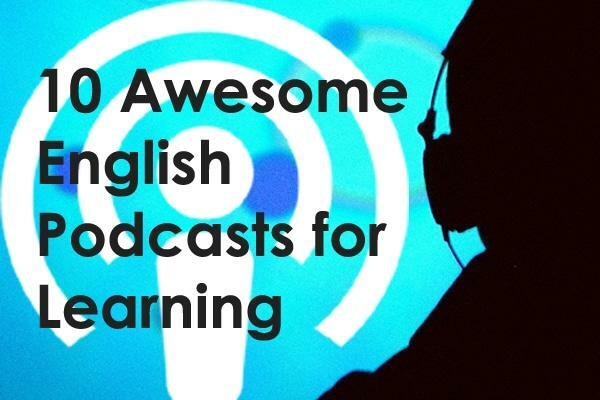 Check out this list of 10 English language podcasts for intermediate learners that we thought would help you take your English to the next level. This podcast features natural English conversations that you can use to practice your English listening. The conversations are about 12-15 minutes long and are between the hosts, Amy and Curtis. They speak with a clear American English accent about many different interesting topics without slowing down or changing the way they speak normally. There are currently 15 full English conversations available on the podcast or the website. 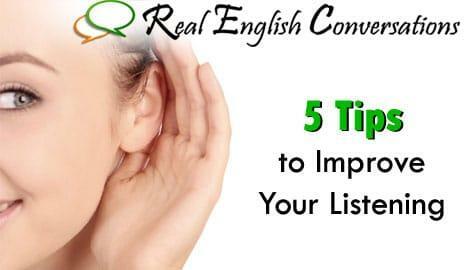 Each podcast features a “Real English Tip” which explains how to handle an everyday situation using different expressions or answers that will make you sound more like a native speaker. 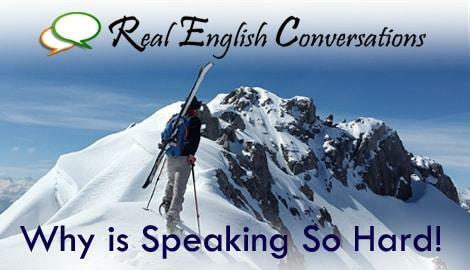 Real English Conversations offers additional courses and conversations including: The Real English Conversation Pack, English Phrasal Verb Course and 21 Days to Better Speaking. This English podcast has an extensive list of episodes that feature a short scripted dialogue and a transcript. Each episode has a slow version and a normal speed version. In each script, they use English expressions and speak about different subjects to try to expose the learner to new vocabulary. There is an option to subscribe as a paid member to receive access to more practice exercises, vocabulary explanations, and other features. 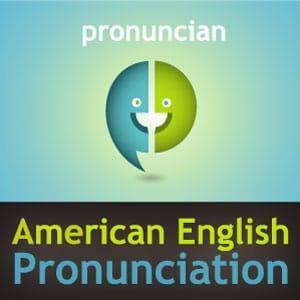 As the title says, this podcast focuses on English pronunciation. Each episode has a transcription on the website so you can see how each word is spelled as they explain the rules and sound differences. We liked how they use groups of words that produce the same sound. This podcast has an extensive list of audio for you to master English pronunciation by listening and repeating. They offer a membership upgrade which gives you access to more features from their website related to pronunciation. This English Podcast features news stories about current events in the United States and around the world. The audio is a narrated version of written text that is available on the website to read while listening. You will hear the American English accent but the narrated recording is spoken slowly and clearly for easy comprehension. This is great if you have difficulties with listening. This is a great podcast for building vocabulary that you will see in articles and newspapers or what you may hear when watching the news. 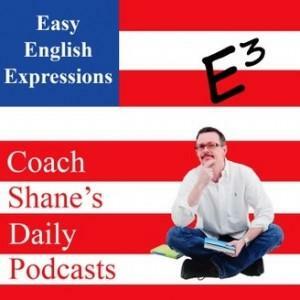 The Daily English Expressions Podcast has a new lesson almost every day that explains a new expression. The host is enthusiastic when he speaks which makes the podcasts fun to listen to. We like that he adds a situation to put the expression in context so that you know exactly how to use it. Most of the episodes are 5 minutes long. 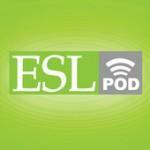 This Podcast focuses on learning English Phrasal Verbs in context with audio examples. In each lesson, you will hear a new phrasal verb and the meaning will be explained. What is really cool about these lessons is that each example uses the phrasal verb and then the example is repeated using an alternative to the phrasal verb. This will help clarify the meaning if you are still confused. These lessons are part of the phrasal verb course which includes stories using 10 phrasal verbs from the lessons, in context. This can be helpful to teach you how to understand the phrasal verbs that have multiple meanings. 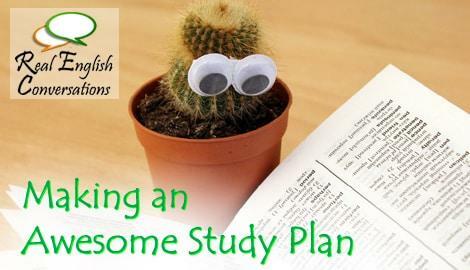 You can get access to 20 Phrasal Lessons and 2 stories for free here. The Happy English podcast explains a bit of everything. 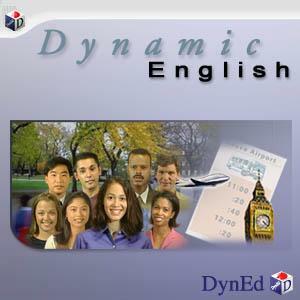 They discuss grammar, expressions, pronunciation and general uses of English in real life situations. Each podcast episode features a dialogue that uses the topic being discussed. You will hear a slow version of the conversation and later a normal speed version. The host Michael, does a good job of providing lots of examples so the listeners can understand easily. There are transcriptions available for purchase on the website if you need more help. Better at English Podcasts have unscripted conversations, often as interviews with other native English speakers. Lori, the host, speaks very clear American English and the audio quality is very good in each of the episodes. The podcasts are positive and motivational while you are listening to them. Update: Unfortunately, this podcast has been discontinued! This English podcast uses stories with transcriptions of the audio to help you learn different vocabulary depending on the situations. The stories are narrated in clear, slow English and they use lots of expressions. 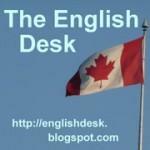 It seems that English Desk is not producing new episodes right now but they have quite a few episodes available on their website for you to study and listen to. This English podcast is good for testing your listening comprehension. It includes a few easy to answer questions based on a conversation dialogue. DynEd’s Podcast hasn’t had any recent episodes but there are 36 audio tracks you can listen to and study. The conversations are basic and spoken slowly and clearly with an American English accent. **Note: Click on the gray colored ‘POD’ button to play the audio from the English Podcasts through the website. Which podcast is your new favorite for the list above?